If you have ever stood on a subway platform staring at the countdown clock, the thought has come to mind: “Could someone hypothetically ollie over the tracks?” In theory, if Jeremy Wray did that water tower ollie, it’d have to be possible. Then you’d consider the additional curve-in, the timing, the train, the bust, and eventually, the third rail, which stands to give anyone who touches it an unpleasant departure from earth in the event of a worst case scenario. 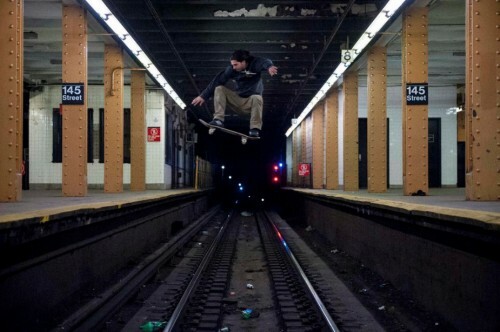 The speculation ended this year, as Koki Loaiza ollied from platform to platform at the 145th Street A station…going towards the third rail and earning press from media outlets far beyond skateboarding’s typical reach. You know that friend you grew up skating with who was really good, but who you increasingly saw on a bump-into basis as the years wore on because he moved to some island that no trains go to? That’s Leo for a lot of people. Needless to say, it’s nice when the subject of “Whatever happened to..?”-inquiries is filming an amazing video part, and you feel stupid for ever asking that question. All those pros you’d see at Max Fish these past three years were one-percenters being put up at the Rivington or Thompson Hotel by their sponsors. The truth is that the majority of the Fish’s clientele was priced out of Manhattan long ago, and Enid’s has been the marquee bum on wheels bar for years now. The concept of the Barmuda Triangle still having been in Manhattan in the days leading up to the Fish’s closure is a piece of convenient nostalgia. 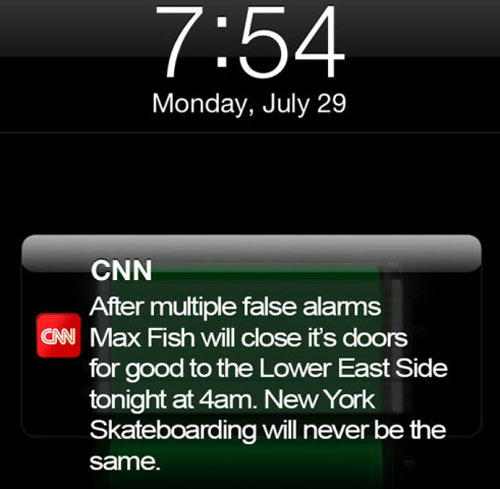 If anything, it’s a surprise that it took this long for Max Fish to move to Brooklyn. It took Francis Ford Coppola five years to make Apocalypse Now. Sure, the end result was one of the greatest films ever made, but the point here is this: It should not take anybody longer (or half as long) to make a skate video than it took Coppola to make Apocalypse Now. Peter Sidlauskas and Johnny Wilson make the best videos because they come out like clockwork every year. They’re not footage dumps — they’re videos that are more fun to watch than what some companies with fifty-times the resources are churning out. Everyone has passed that point of wanting to hear about a video for five years. It’s 2014; the Chocolate Tour and Guilty days are over. Put it out there, get people hyped (or don’t) and move on. People being “good enough” to achieve certain things on skateboards in 2013 has been a recurring theme throughout this list. Skateboarders are moving to New York more than ever (when’s the last time you walked ten blocks without hearing a board rattle in the background?) 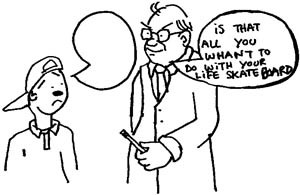 to actually focus on skateboarding, rendering years of our jokes about productivity or lack thereof dated. There will always be someone saying “But so-and-so isn’t *from* here!” If you’re still beating that drum, and haven’t realized that millions of people have been moving to New York to do great things (oftentimes even greater than skateboarding!) for as long as this place has existed, you’re probably too bitter and stuck in your ways to ever be convinced otherwise. 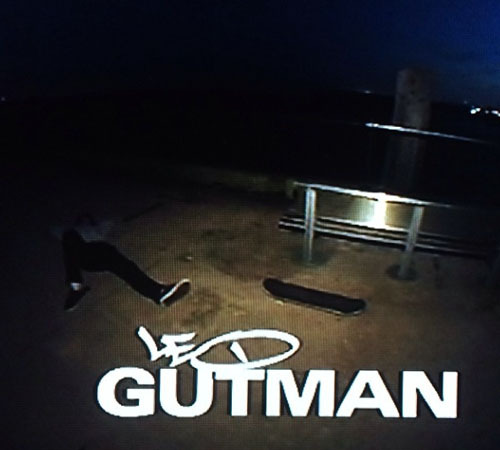 2013 was the first year where we could make a top ten list of the best parts predominantly filmed in New York by skaters who are unsponsored, on flow, or currently attached to a small company. Here are ten dudes that killed it, in alphabetical order. The list is limited to one inclusion per skater and per video. but isn’t piscopo not pro? either way i’m all for him being on the list. Pro should probably say “pro or am” but “am” isn’t really even a thing anymore. LC, too funny. Cheese is trying, though. 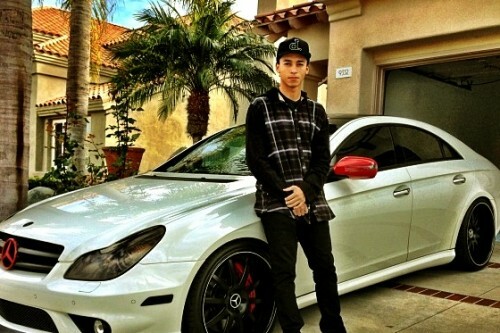 You forgot Nyjah for best pro parts. You also forgot Chris Cole and Dane Burman (COLDWAR) for best pro parts. also not sure if skate215 is joking conisdering this site isnt exactly a nyjah fansite but there is a pic of him on the list. Ishods fourstar part was really good too. do you guys have a week long new years eve hangover or something? EXCLUSIVE!! MYNIGGA MIKE RE_EDIT! http://youtu.be/vTKkELXMaew NO SLACKIN IN THE MAXIN!